When Lucie Amundsen had a rare night out with her husband, she never imagined what he'd tell her over dinner-that his dream was to quit his office job (with benefits!) and start a commercial-scale pasture-raised egg farm. His entire agricultural experience consisted of raising five backyard hens, none of whom had yet laid a single egg. To create this pastured poultry ranch, the couple scrambles to acquire nearly two thousand chickens-all named Lola. These hens, purchased commercially, arrive bereft of basic chicken-like instincts, such as the evening urge to roost. The newbie farmers also deal with their own shortcomings, making for a failed inspection and intense struggles to keep livestock alive (much less laying) during a brutal winter. But with a heavy dose of humor, they learn to negotiate the highly stressed no-man's-land known as middle agriculture. Amundsen sees firsthand how these mid-sized farms, situated between small-scale operations and mammoth factory farms, are vital to rebuilding America's local food system. 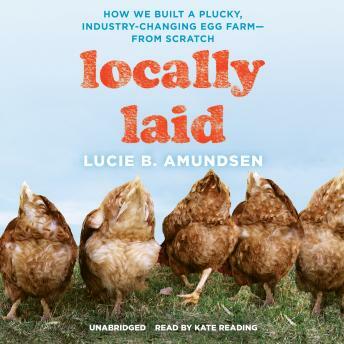 With an unexpected passion for this dubious enterprise, Amundsen shares a messy, wry, and entirely educational story of the unforeseen payoffs (and frequent pitfalls) of one couple's ag adventure-and many, many hours spent wrangling chickens.